Rhode Island is off to a good start so far at the New Balance Nationals. During Day 1 of the three-day meet, Westerly High captured the Emerging Elite 1,600m Sprint Medley Relay on Friday with a meet record of 4 minutes, 4.97 seconds. The Bulldogs were among six teams still contending for the title with the remaining 800m leg. That's when senior Randi Burr brought it home for her teammates with a strong anchor leg, splitting 2:13.24, the fastest of the day. In a tune-up for her 800m race on Sunday, Portsmouth's Nikki Merrill placed second overall in the mile run. 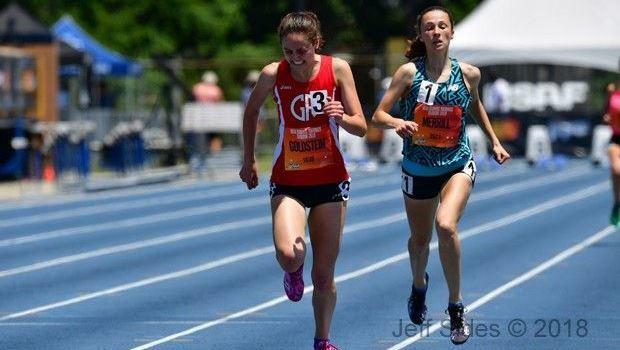 Merrill was just few meters behind winner Isabelle Goldstein of Germantown Academy (PA) with a time of 4:56.56. Goldstein won with a time of 4:56.29. Hendricken's Jack McMahon just missed All-American status, finishing seventh overall in the Championship 5K. McMahon crossed the line in 15:00.35. Hawk teammate Sean Meehan was tenth overall in 15:03.50.